Daytime soap operas. Evening news. Late-night talk shows. Television has long been defined by its daily schedule, and the viewing habits that develop around it. Technologies like DVRs, iPods, and online video have freed audiences from rigid time constraints—we no longer have to wait for a program to be "on" to watch it—but scheduling still plays a major role in the production of television. 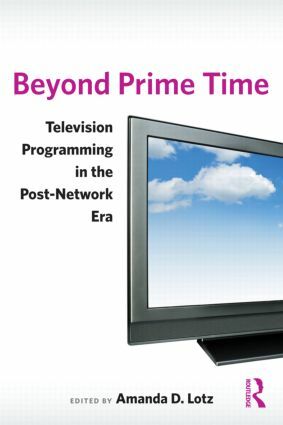 Prime-time series programming between 8:00 and 11:00 p.m. has dominated most critical discussion about television since its beginnings, but Beyond Prime Time brings together leading television scholars to explore how shifts in television’s industrial practices and new media convergence have affected the other 80% of the viewing day. The contributors explore a broad range of non-prime-time forms including talk shows, soap operas, news, syndication, and children’s programs, non-series forms such as sports and made-for-television movies, as well as entities such as local affiliate stations and public television. Importantly, all of these forms rely on norms of production, financing, and viewer habits that distinguish them from the practices common among prime-time series and often from each other. Each of the chapters examines how the production practices and textual strategies of a particular programming form have shifted in response to sweeping industry changes, together telling the story of a medium in transition at the beginning of the twenty-first century.